Did you know that a family of 5 with a household income less than $53,000 can qualify for Reduced Lunches and FREE Textbooks and a family of 5 with a household income less than $37,000 can qualify for FREE Lunches and FREE Textbooks. You can find the guidelines for income requirements at the website linked above. The federal program for free and reduced lunches is in place to ensure that children receive nutritious meals and that they are affordable for families. The program is not a "hand out", it is intended to help families and ensure they can provide their children with other necessary school equipment and supplies by relieving the burden of school lunch cost. This doesn't only help our families. The school corporation's percentage of free and reduced lunch can qualify us for various state and local programs that can have a positive impact on all of our students. There are hundreds of grants that are awarded based off of our percentage as well. 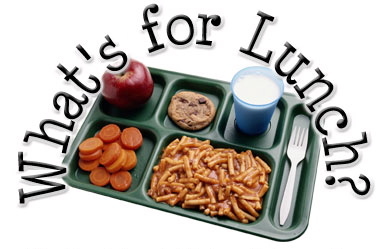 Additionally, the higher percentage of students that we have taking advantage of the free and reduced lunch program, the more money we can generate for our cafeteria fund allowing us to offer better meals. I ask that everyone fill out a form that can be accessed on the website link above. Forms will also be available at Open House on August 1st. We asked that the forms be filled out and turned in ASAP. There is a cutoff for accepting the applications and after that cutoff individuals are responsible for paying for lunches and textbooks even if their income would have qualified them. Remember that this is a program that we all pay into as a part of federal taxes and if you qualify you are entitled to utilize the program.